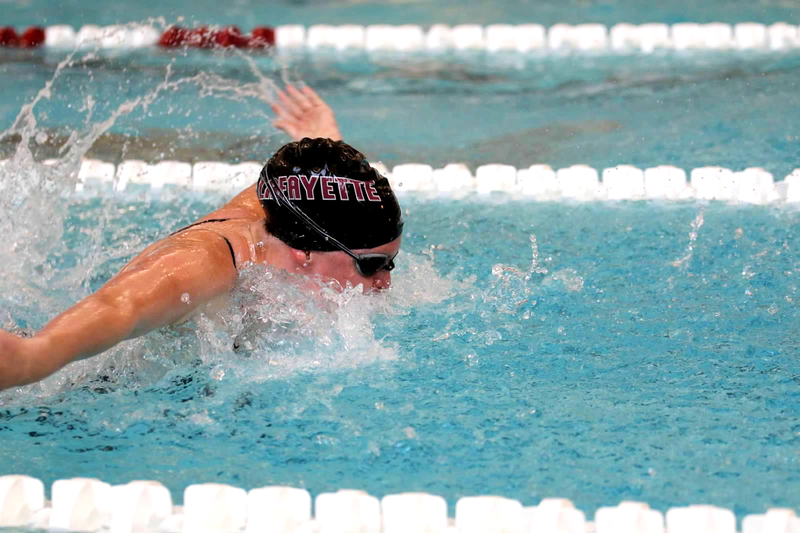 In the final meet of their regular season before the Patriot League Championship, the Lafayette swim and dive team traveled to Bucknell last Saturday to compete in the annual Bison Invitational. On the women’s side, sophomore Mary Zimmerman swam the 1650-yard freestyle placing second with a time of 19:08.43. Junior Emily Benson followed close behind, placing fourth swimming 19:18.45. Freshman Sam Talecki had some strong performances in all five of her events, including three individual competitions and two relays. Senior Reeve Lanigan turned in a strong performance in the 200-yard breaststroke, finishing third with a time of 2:34.40, followed by freshman Kaitlyn Bladt who finished fourth in 2:36.54. The women’s 200-yard medley relay comprised of junior Anne Marie Mozrall, freshmen Lauren Lapsy, Talecki and Emily Wilson, placed fourth with a time of 1:58.46. After a training trip over winter break and much preparation leading up to the Patriot League Championships, the team is enjoying the stretch run of the season. Outstanding performances on the men’s side came from freshman Michael Gorgan, sophomore Tanner McFarland, and junior Bryce Currie. 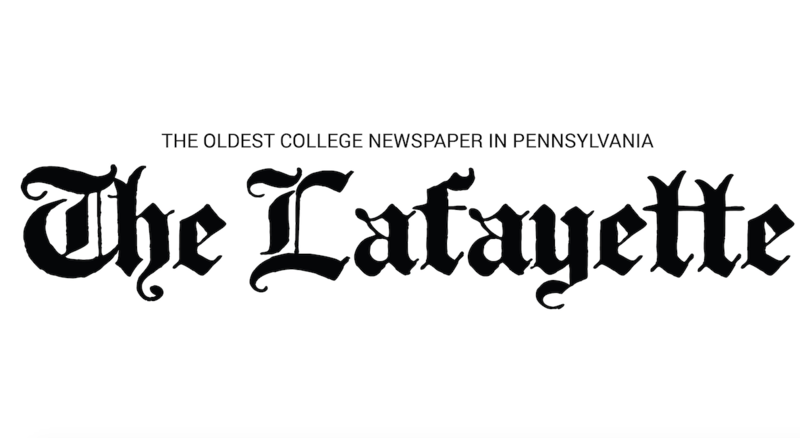 In the 50-yard freestyle, Gorgan led Lafayette with a time of 22.61. He also placed eighth 100-yard freestyle with a time 1:01.18. Currie followed in 10th place finishing with a time of 1:01.61. Currie also recorded a solid performance in the 100-yard butterfly with a time of 54.63. McFarland placed 12th in the 500-yard freestyle with a time of 4:48.91, and swam 1:49.55 in the 200-yard freestyle, earning 13th place. The Leopards will be back in action at Bucknell the week of Feb. 18-23 for the Patriot League Championship meet. The team will travel with their top 17 swimmers, nine of whom are freshmen, and are emphasizing a strong routine and mindset as they prepare for their biggest challenge of the season. “We’re really just trying to stay healthy, eat well, get enough sleep, and make sure we’re doing what we need to do in and out of the pool,” Mozrall said.